Learning all about the Ladybug Life Cycle! 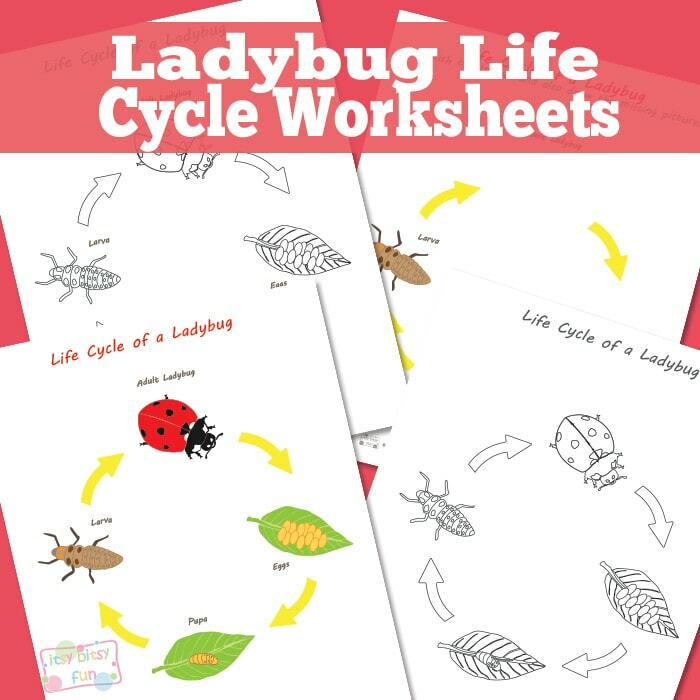 Print these Ladybug life cycle worksheets and diagrams and let’s do some learning! We already learned about butterfly life cycle some time ago and now it’s time for these spotted adorable bugs. While their life cycle might not be one of the fascinating ones (like frog one is) I think learning about it is fun for kids as these are after all very popular little creatures. Now let’s learn about them! You’ll find a full color and black and white kids can color by themselves diagrams with all the stages of the life cycle named. Then we have two pages where the whole cycle is illustrated (again one in full color and on in black and white) and kids have to name the parts by themselves. Last but not least we have two pages (one with labels and one without) that have some parts of the cycle missing and kids have to draw them by themselves (this one will be great for the creative ones). 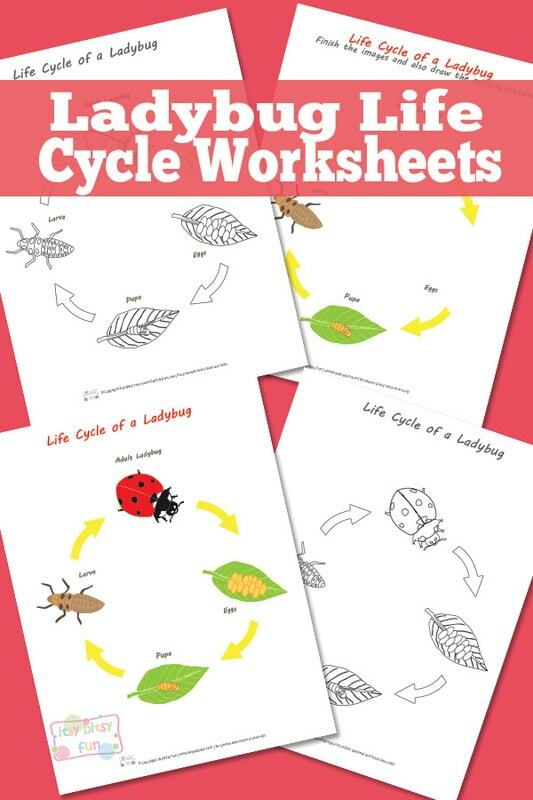 Get your free printable Ladybug Life Cycle Worksheets here.